Join us on Thursday, July 18, between 5:00 and 8:00, our good friend Rui Abecassis will be back to show off his latest vintages of Portuguese Red, White, and Rose. 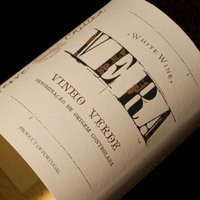 Rui Abecassis, a native of Portugal, longtime New York resident, and friend of the shop, introduced this excellent Vinho Verde to the U.S. with the 2010 vintage and the wine seems to get better each year. 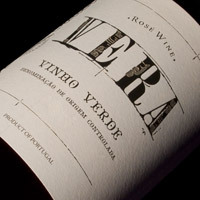 A fresh, drier style than most Vinho Verde, the Vera is loaded with bright, crisp citrus notes and just the right amount of effervescence to keep things fun – a great wine to accompany a wide range of foods – everything from sushi to cheese – or to sip on its own when the temperature climbs. Definitely a summer favorite. Introduced last year with the 2011 vintage, the Vera Rose was, like the white wine before it, an immediate hit and it’s easy to see why. The 2012 comes in just a little bit lighter and a little bit drier (both good things, as it happens) than the 2011 was, but still bursting with just as much ripe, red fruits, a crisp, refreshing acidity, and, again, just the right amount of bubble. A blend of the indigenous Vinhao and Rabo de Anho varieties, wine doesn’t get any more summery than this balanced, crisp rose. 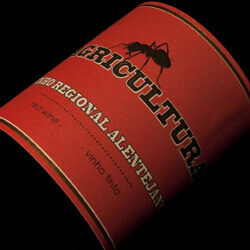 A blend of Touriga Nacional, Aragonez (which goes by Tempranillo in Spain), and Trincadeira from a 42-hectare plantation on the Herdade Monte da Ribeira, a farm located in the coolest and most mountainous sub-region of Portugal’s inland Alentejo area, Agricultura shows aromas and flavors of fresh, dark fruits. This is one of our most popular summer reds as it’s great straight out of the bottle, but put a little chill on it and its fruit shines through and it makes for perfect drinking in the sun.